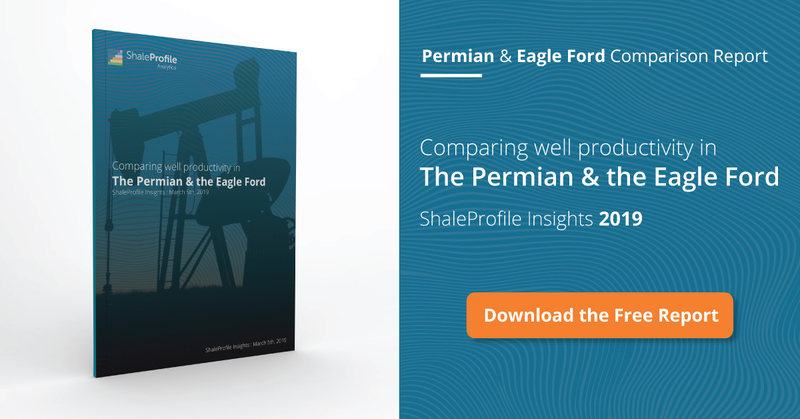 This interactive presentation contains the latest oil & gas production data from all 15,026 horizontal wells in the Permian (Texas & New Mexico) that started producing since 2009/2010, through February. Oil production in the Permian from horizontal wells already passed 2 million bo/d in November, and has continued going higher since, even before upcoming upward revisions. In fact, the current pace of completions of around 10 wells per day, combined with a roughly estimated 300-400 thousand barrels of oil average ultimate recovery (guessed from the chart further down) would support a far higher long-term production capacity of ~3-4 million bo/d. That is, if no other bottlenecks would turn up, and if nothing else changes, both of which are of course unrealistic assumptions. But it does show that the growth story may not be over yet for some time to come. More horizontal wells were completed in 2017 (3,221 based on the latest count) than in any previous year, and well productivity even slightly improved in 2017 (see the ‘Well quality’ overview). The final tab shows the performance of the 5 leading operators in this region. The largest operator, Pioneer Natural Resources, is now over 200 kbo/d (gross operated production, from horizontal wells only), double the volume it produced just 2 years ago. You can see that recent wells recover on average ~140 thousand barrels of oil in the first year on production, which wells from before 2015 have so far not even managed to do. The 9th tab (‘Gas Oil Ratio’) shows that gas production has grown in tandem with that of oil, and the average gas/oil ratio has remained fairly steady over the years, unlike the Bakken in North Dakota, where it has recently risen significantly. Later this week I will have an update on all 10 covered states in the US, followed by posts next week on the Niobrara and the Appalachian basin. Would it be possible to split up the formations into smaller parts? For example Wolfcamp A, B, C, D? This is indeed an area that we plan to make further improvements. Unfortunately, this data is also typically harder to get, but we may be able to obtain it from different sources.